As a good Unitarian girl, I thought that I was going to enjoy this book. After all, there’s lots to like about Jesus’ anti-materialist, subversive teachings: it’s all the St Paul baggage and the tottering pile of theology, misogyny and hypocrisy piled onto Jesus’ words that repels me. So the idea of separating out the “good” Jesus from the rest of it quite appeals to me. But I was disappointed in this book. It’s told in the simple, passionless, slightly patronizing tone of the Good News bible, divided up into short chapters with a heading. It catches the biblical tone so well that when you’re reading Pulman’s version of a bible story you’ve heard many times, you find yourself having to think hard about whether the nuances he introduces change the meaning substantially or not. 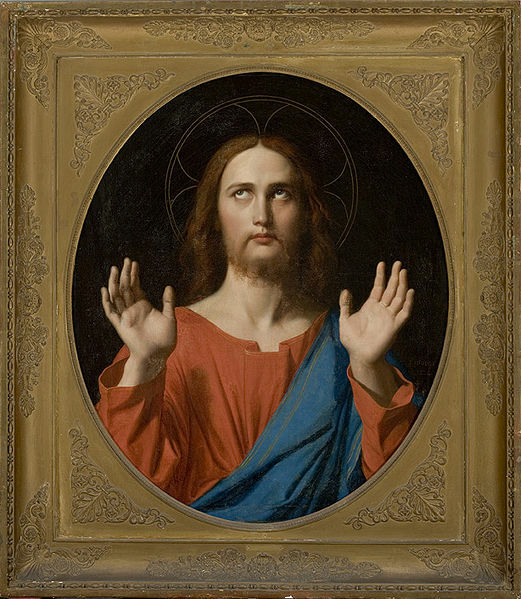 As you probably know about this book, Jesus and Christ are twin brothers and, despite appearances to the contrary at the start of the book, the rather namby-pamby Christ finds himself the onlooker as his more feisty brother Jesus gets all the attention. Jesus’ activities attract a string of miracle-seekers, the opprobrium of the authorities and a rather curious Stranger. We are led to suspect that this Stranger may (or perhaps not) be Satan as he co-opts Christ as an informant on Jesus’ activities and encourages him to document Jesus’ sayings so that they can be tweaked later on, once the church is up and running. In this regard, the book is like a sober version of The Satanic Verses, with an earnest discussion that pops up in several chapters about the relationship between truth and history. The polemic heart of the book lies in the long chapter about Jesus’ tussle in the garden of Gethsemane where he trots out the usual string of qualms about Christianity and the Church. The book ends with a thoroughly unconvincing explanation of Christ’s participation in the creation and manipulation of the resurrection-that-never-happened, and the conflation over time of Jesus and Christ into one historical identity. It was probably this narrative leap at the end of the book that lost me completely. Until then I’d been lulled by the familiar tone, ho-hummed through the debating jousts, and nodded at the arguments about spin, creation and truthtelling. Apparently this book was written as part of the Canongate Myth Series where authors commissioned to reimagine and rework ancient myths from varied cultures, and it certainly fits the bill in this regard. The device of splitting Jesus in this way is an inspired one that reinforces Jesus’ humanity and radicalism. The problem for me was the act of putting them back together again, and it was at this point that I felt as if I’d been conned. Who’s Edward Smith Hall, you say? Edward Smith Hall was born in London in 1786, one of six sons of a bank manager. He arrived in Sydney on 10th October 1811 bearing a letter of recommendation from Peel, the under-secretary for War and the Colonies, citing contacts with two other M.P.s On the basis of this recommendation, he received several land grants but the life of a pastoralist was not for him. He became involved in merchant shipping and banking, then in 1826 established the Sydney Monitor. Ihde’s book is an intellectual history, and it draws mainly on Hall’s editorials and articles over a 14 year period. Hall seems to be a hard man to pin down intellectually, given often to puzzling logic and outright contradiction. In a time without official political parties as such, over such an extended period of time, and under the pressure to generate two, and by 1836 three issues a week, it’s perhaps not surprising that his stance shifted on the hot topics of the day. Moreover, many of these topics were just as thorny and contested and “wicked” as, for example, climate change and asylum seekers are today. They were, as our ex-Prime Minister might have said, the great moral challenges of their time. Nonetheless, Ihde has set out to try to trace Hall’s underlying philosophy and having attempted a similar endeavour with Judge Willis, I have some appreciation of how difficult this can be. 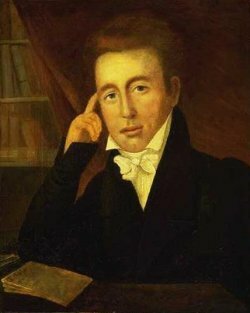 Hall operated from a practical Evangelical, yet surprisingly liberal Christianity- a contradiction right from the start. He placed more emphasis on moral character than status; he believed strongly in the “moral economy” and the rights of free-born Englishmen and did not accept that convictism cancelled out these rights. He strongly supported the continuation of transportation, and yet was seen as being an advocate for emancipists. He acknowledged the Aborigines as the original possessors of the land, and yet accepted as part of the natural order of things that the Aborigines would be usurped- or rather, than the superiority of Englishmen would lead to their ‘adoption’ of the land. Ihde largely restricts his analysis to the columns of the Sydney Monitor. His book commences and closes with biographical details about Hall himself, but Hall as a living, breathing Sydney man does not come through clearly through the body of the work. I suspect that Ihde would say that this was not his intention: the book emerges from his doctoral thesis, and the blurb on the back of the book tells us that he is working on a full-scale biography of Edward Smith Hall- an admission that this book has not told all there is to tell about Hall. Ihde consciously decides not to enter into Hall’s imprisonment for libel because, as he points out, other historians including C.H. Currey and Brian Fletcher have already ploughed this field. I found myself disappointed by this. Along with interest in how Ihde dealt with the intellectual beliefs of a “changeable” public figure, I was curious to see how Hall, bearing the religious, philosophical and intellectual beliefs that Ihde has analysed, reacted as a man and public figure when they had real-life, physical consequences. While Currey and Fletcher may have already described the situation, they did so from the perspective of Forbes and Darling, not from Hall himself. So is it fair to judge a work by what the author has made a conscious decision NOT to deal with? There’s always a tussle between what a reader wants from a book, and what the author him/herself has marked out as the territory in which they want to excavate. Part of the argument lies in convincing the reader stay with the author in that part of the field instead of gazing over the fence and wondering what’s over there instead. I’m not sure that Ihde managed to do this with me completely , but in terms of technique, I gained much from watching a historian dealing with inconsistency and contradiction in the search for a philosophical bedrock in a public figure. Yesterday was Christmas Day…Instead of the old English fire-side, with skaiting [sic] outside and shooting partridges among the turnips, or tracking hares amid the snow, we have a torrid heat, rendered still more oppressive by the steam of extra dishes rising in our faces at meal-times, and causing the sickly appetite with which we sit down to our Christmas fare, entirely to depart. At church, instead of feeling the comfort of the fire in the tremendous stove, eight feet high in the middle of the church, and of being habited in a great-coat and lamb’s-wool stockings, we could scarcely sit for the heat, although clothed in slight cottons. In the evening, we are gasping for breath, while the musquitoes and sand-flies worry us at all points- face and wrists, the fine dust from the garden [sticking] to our warm faces and suffusing the room at the same time; so that at length we throw ourselves on the mattrass and try to forget the “merry” Christmas of New South Wales, by getting beneath the musquito-curtains. Such is Christmas-day in this Colony. …Are we to be for ever troubled with the heat on the anniversary of an event which transpired in winter?- are we to be such slaves to precedent, as to violate a divine festival in its most essential physical points, but continuing to substitute for the winter’s cold of Judae [sic], the torrid heat of an Australian summer? 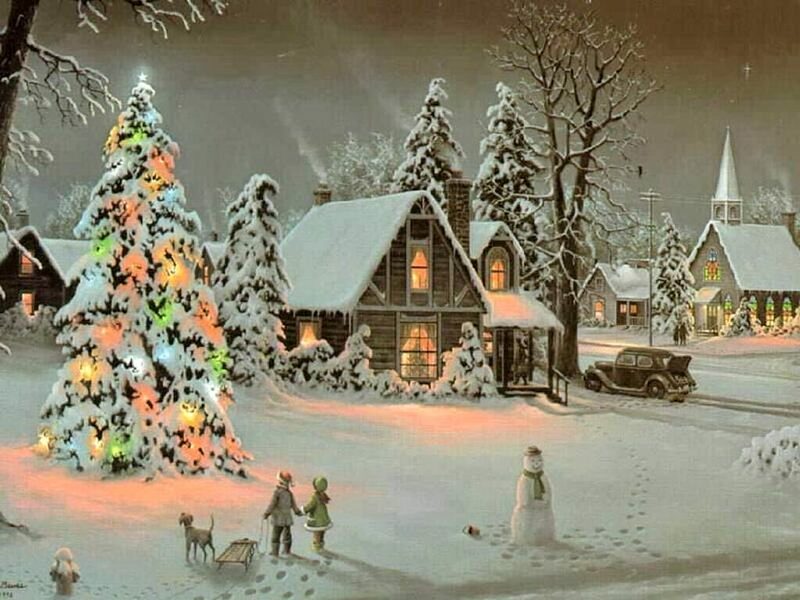 abrogate the present anomalous and unscriptural custom of celebrating the birth of our Saviour, which took place in the depth of winter, in the middle of summer. Then we shall be Englishmen, in this respect, once again; and merry, gladening [sic], heartsome, hospitable, recreable [sic], delightful CHRISTMAS, will return to console us for our long exile from the land of our fathers. If this law be deferred until the Australian-born be all grown up, and their children after them, a hot Christmas, will be to them, the natural Christmas, and they will not comprehend a frosty and cold Christmas, and will object to, as far as their feelings and sympathies may influence them; though their judgment [sic] must see the propriety of the change now proposed by us. Obviously, E. S. Hall didn’t prevail and he was right- future generations did come to see a hot Christmas as natural. But happy 25th June anyway. The London Review of Books has a fascinating article by Keith Thomas, a fellow of All Souls College in London (Vol 32, No. 11 10 June 2010). Keith Thomas is an historian of the early modern period, and a student of Christopher Hill whose books I remember vaguely from an undergraduate subject over 35 years ago on Puritans and Quakers, Shakers and other tremblers in the English Civil War. I enjoy reading about how other historians “do it” and enjoy reading biographies and autobiographies of historians generally- and they are legion! I’ve been in enough historians’ offices to glimpse their shoeboxes of index cards and rolls of paper, and I must admit that I’ve always been bemused by what they do with them. Even before reading Thomas’ article, I’ve been aware of Beatrice Webb’s adage of “one fact, one card” and I’ve always wondered how that would work with a multi-layered fact that could be categorized in so many different ways. [ One spin-off of reading Thomas’ article has been that I went to my bookshelves and picked up Beatrice Webb’s book My Apprenticeship which I must have bought 35 years ago and have never even opened. What impelled me to buy it for the princely sum of $2.10 I wonder? It may just find its way to the pile of books beside the bedside table.] But Thomas has enlightened me- you place a punchhole in the margin of the card for a particular category and then, using a knitting needle you can locate all the cards that have been punched in the same place on the card under that category. Well I never! Thomas himself writes on sheets of paper on one side only, notes down the bibliographical details (and is honest enough to admit that he often gets them wrong! ), then cuts up the pieces of paper and files them in envelopes, with a separate envelope for each topic. He then keeps an index of all the envelope-topics. His envelopes include jottings, newspaper articles etc. Some of the envelopes become voluminous enough to migrate to a box or drawer. For myself, I’m an NVivo gal. I returned to history after a period working as a researcher in education which has somewhat of a social-sciences bent, with quite a bit of work on interviews and protocol analysis. It was in this context that I became aware of Nud*ist, the early incarnation of NVivo. Basically (and I suspect that most qualitative research programs do a similar thing), there are the source documents which remain intact, then the “nodes” that are tags that you attach to the text in the source document- a bit like highlighting them with different coloured pens. You can group the tags together into trees of associated nodes, merge nodes that ended up being similar, or split nodes into categories that you weren’t originally aware of when you started your research. Its plasticity is intentional: it is assumed that your categories will be shaped by the research you undertake. Although my research doesn’t have the model and theory-building aspect that is encouraged by NVivo, I find it invaluable for just keeping track of what I have. As I read Thomas’ article, I could see how NVivo encourages and supports the same activities. For example, where Thomas would open his envelope and have a little shuffle through the assorted things he found in it, I open a node and am amused by the things I’ve found to put in it. Where C.Wright Mills wrote of the pleasures of rearranging his filing cabinet as a way of reorganizing his intellectual index, I can see that on the (admittedly rare) occasions that I’ve sat down and merged or split my nodes, or arranged them into trees that I’m doing an intellectual form of rearranging the furniture. I like that I can easily go back and find the complete document from which a particular paragraph or dotpoint emerged, and that a single paragraph can be categorized in any number of ways. It’s certainly not foolproof, as evidenced by my chagrin over the missing letter (which, by the way I have never found, but I did find a document similar which I now wonder if I misinterpreted on my initial reading). I live in terror of the whole edifice of NVivo collapsing. While I am not in danger of being drowned, as Anatole France warned, by an avalanche of index cards, my increasingly towering spindle of backups on DVD at home and work, and the steady accumulation of portable hard drives and data sticks must be contributing to Harvey Norman’s stellar profits. Once you’ve started down a particular route, there is an element of commitment and momentum that keeps you on it. Thomas obviously finds that his envelopes work: those who use card files obviously do too. There’s the danger of constantly searching for the perfect system instead of actually sitting down and using it. The corridors of academe are crowded with scholars who found their system and made it work for them. I do find myself wondering if the availability of key-word searching and micro-tagging will change the sorts of histories we write- will the ease of locating the detail alter the process of creating a big-picture argument? Or does the propensity to be either a hedgehog or a fox drive the systems and processes that academics set up for themselves? Well, I shall have to be seriously disgruntled, won’t I? A poor decision in my opinion. There’s much else to enrage me in the newspaper and news this morning. Protecting the profits of large energy companies and their distribution networks by not embracing the desire of ordinary householders who want to make use of the sun that streams onto their roof. What happened to the photograph of the young woman in that mining executive plane crash? European governments going all hairy-chested over who can cut their deficit the most harshly. Wasn’t it resistance to this type of economics that averted depression two years ago? Has the world economy really rebounded that strongly? Do I dare mention the words “double dip recession”? Just to prove how shallow I am, Stephen Milne (I am a St Kilda supporter). On second thoughts, I should leave this one alone. Well- I’ve finished reading the shortlist again, this time finishing on Miles Franklin Eve. I try to read the shortlist every year, but have mixed feelings about doing so each time. I want to be able to nod sagely when my selection gets up, or to snort with derision if it doesn’t. I want to be part of the conversation that surrounds the announcement, and I want to be able to say “I’ve read that!”. It means that I read a concentrated selection of recent Australian fiction each year, and that I keep up to date with the authors and works that are deemed to be the “best” writing of that year. But it’s always a rush at the end and I find myself reading a work not just on its own merits but with a comparative eye on the other contenders as well. I wonder if it’s a fair way to read a book. I feel a bit resentful that I’ve been sucked into the marketing hype that surrounds it all- even though it’s entirely self-inflicted. So, ambivalences and misgivings notwithstanding, who am I going for? Jasper Jones and Butterfly are outranked here: Truth I thought was too restricted by its genre. The Book of Emmett is a worthy shortlister and emotionally challenging, but I was troubled by the limited narrative sweep of the book and the author’s difficulty in pushing the story along. 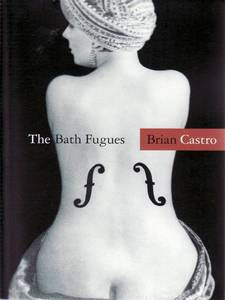 The Bath Fugues was brilliant, virtuosic writing but it left me emotionally cold. For deceptively simple, clean writing and a complex human story, I’m going for Lovesong. There- my selection. The book comprises three interlinked novellas, and the resonances reverberate between them. Characters from one novella bob up in another and references recur between all three- bicycles, Montaigne, Baudelaire, forgery, baths- and clang associations send the writing off in unexpected directions. This is clever, clever writing, a virtuosic performance. The first novella is narrated by Jason Redvers, an aging art forger who is convinced that his old friend, the academic and writer Walter Gottlieb had appropriated his family history as the basis for his own writing. The second novella focuses on this ancestor, the Portuguese poet and judge Camilo Conceicao, self-exiled in Macau during the 1920s, surrounded by his mistresses and sinking deeper into opium addiction. The final novella revolves around Dr Judith Sarraute, a doctor now living on the North Queensland coast who numbers amongst her earlier patients Jason Redvers, her cabinet of collected exotic venom and plans for an art gallery that itself may hold the counterfeit, or at least reworked, paintings that have emerged earlier in the book. Complex? Yes, and I found it hard to work my way through the book. I marvelled at it, but was not swept up by it. I suspect that this book itself is an intricate, elaborated work that fits into a larger oeuvre because I kept detecting echoes of Castro’s other works – The Garden Book and Shanghai Dancing, which like this book received critical acclaim, awards and shortlisting. They are books that, like this one, made me wonder if I’d understood them as well as I should and which likewise revelled in language and their own complexity. It’s a book of the head, not of the heart. I feel as if I should read it a second time, and I’m sure that a second reading would yield even more discoveries. But – and here’s the rub- I can’t find it in myself to want to read it a second time.